Egypt's Defence Minister Mohamed Zaki has concluded a two-day visit to Russia following high-level military meetings, according to a statement by Armed Forces spokesperson Tamer El-Refai. General Zaki and Russian Defence Minister Sergei Shoygu held a meeting to discuss several issues of mutual interest as well as the development of military relations and technical cooperation and exchanging expertise between the armed forces of both countries. The two sides also discussed developments in the region and their repercussions on the regional and international arenas as well as cooperation in facing terrorism. On the sidelines of his visit, Zaki held meetings with UAE Minister of State for Defence Mohamed Ahmed Al-Bowardi as well as Oleg Devgalev, the head of the industrial military committee of Belarus. Zaki also participated in the official opening ceremony of the International Military Art Forum (Army-2018), one of the most prominent exhibitions of weapons and military equipment in the world. Zaki and Shoygu attended the closing session of the fifth meeting between the joint Egyptian-Russian military committee in the presence of a number of military commanders from both sides. 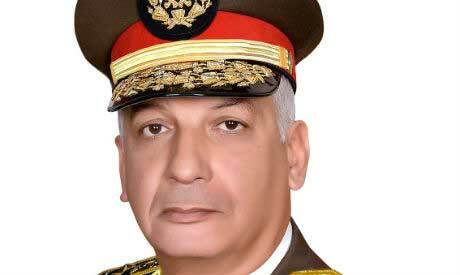 The Egyptian defence minister stressed the deep strategic relations between Egypt and Russia, which are based on the common principles of supporting security and stability efforts on the regional and international levels. The Russian defence minister welcomed continued military cooperation between Egypt and Russia in light of the developments in the Middle East, praising Egypt's efforts in eradicating terrorism and supporting stability in the region, according to the statement.